Why permit your summer to get wrecked by damaged hearing? Most likely it’s much worse if you’re not aware of it. The slow decay of hearing that goes along with aging and some ear diseases will mean that you don’t always realize that there are things you don’t hear any longer. If you enjoy summer fun, then why would you choose to miss out because you don’t hear very well? There are some solutions to your loss of hearing that will get you back out there having summertime fun. 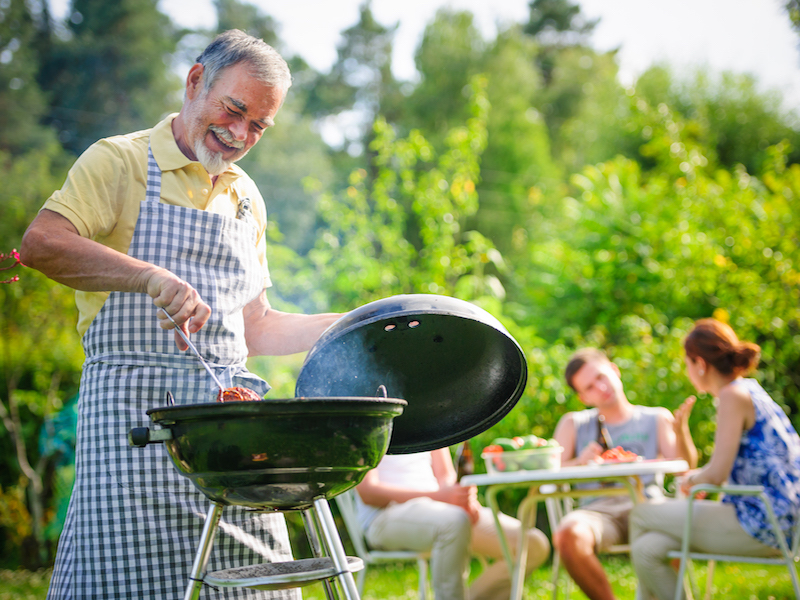 Summer barbecues do get a bit tricky when a person has hearing loss. To begin with, there is a large amount of background noise. There are so many discussions going on around you. In the yard and in the pool children are yelling and having fun. You have the sounds of nature such as singing birds, barking dogs, and the sound of food cooking on the grill. Whatever hearing that may remain can’t compete with all that diverse noise. This amount of background noise can easily overwhelm someone that has hearing loss. Sitting in a peaceful spot for short periods of time can help get rid of some of that overwhelming background noise. Turning away from the sun will allow you to look at people when they talk and read their lips to figure out words you miss. You can reduce the volume of background music. If it’s your barbecue, you can simply decide not to have any music. If you are going to someone else’s cookout, mention the issue to the host. Walk away from time to time. Working to hear takes a lot of energy. Every hour or so try to go inside or a little ways away from all the noise. Let others know if you can’t hear. People will get frustrated if you attempt to fake it. If you don’t hear what someone said, let them know. Cupping your ear and other visual clues can suggest that you can’t hear to others. They will usually move closer or speak up to help out. Don’t try to hear everything. The fact that you can’t take part in every conversation is something you need to understand. Set practical limits for yourself and try to participate in small groups instead. What might you be missing by staying inside the house? Don’t be frightened to walk outside and focus on the sounds of nature. You won’t hear everything, but with a little focus, you might be surprised by the sounds you can hear. If you only try to hear one thing at a time, you can manage your expectations every time you go outdoors, head to the beach or walk in the park. Isn’t that what summer is all about? Determine what kind of vacation you would enjoy and if there are limitations that come with your hearing loss. For example, a theme park may be a little too much stimulation, but sailing or fishing work nicely. Going out into nature would also work. Walk on the boardwalk by the beach or head to a museum. You have a chance to travel this summer so you shouldn’t let your hearing loss take that away from you. If you are flying, tell the airline that you have hearing loss when you book the ticket. Inform the hotel, as well, so they can give you a room that has accommodations for the hearing impaired such as smoke alarms with flashing lights or shaking beds and TVs that have closed captioning. Look for methods to better yourself this summer such as taking an exercise class or learning to paint. If you would like to find a place in the front, be sure to get there early. If you do miss anything, it would be good to have a couple of friends with you to let you know what you might have missed. When you are enjoying the pool or beach, make sure you play it safe. Make sure to protect your hearing aids from water damage and use some earplugs when you go swimming to avoid ear infections. If you want to walk in the evening to enjoy the night air, take a friend with you. Hearing loss means that you won’t always perceive things such as vehicles driving towards you or maybe even someone coming up behind you. If you are going to fireworks or maybe a live performance, wear ear protection. Many of these summer difficulties become less significant when you do three easy things. Get your ears checked by a hearing care specialist. It is possible that your hearing loss is treatable. Get a professional hearing test, to determine if you do have hearing loss. Wear good-quality hearing aids. They will get rid of any background noises so you will hear what’s important. Having fun is what summer is all about. Don’t allow the loss of hearing rob you of that. Call us today at 865-234-3528 or send in this form now.